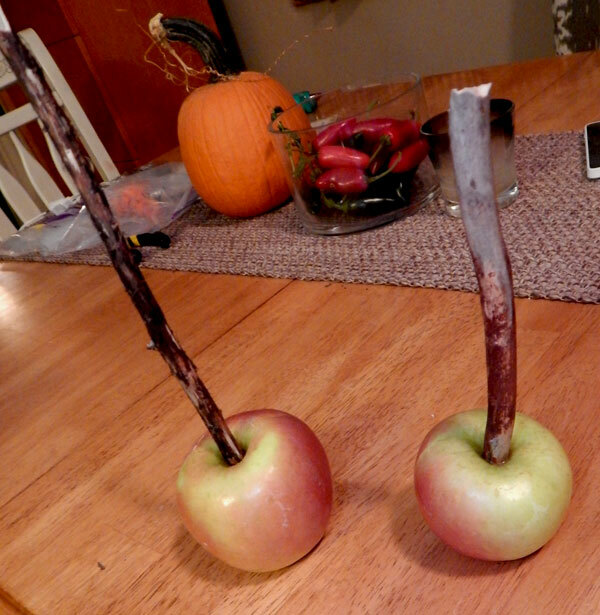 How to make Poisoned Apples! Well, okay, they’re not TECHNICALLY poisoned . 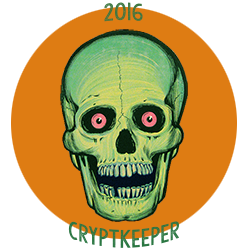 . . but it sounds a lot creepier than just plain ol’ CANDIED, although, come to think of it, candied is pretty awesome. So I guess, whatever you want to call them, they’re delicious and actually quite easy to make! 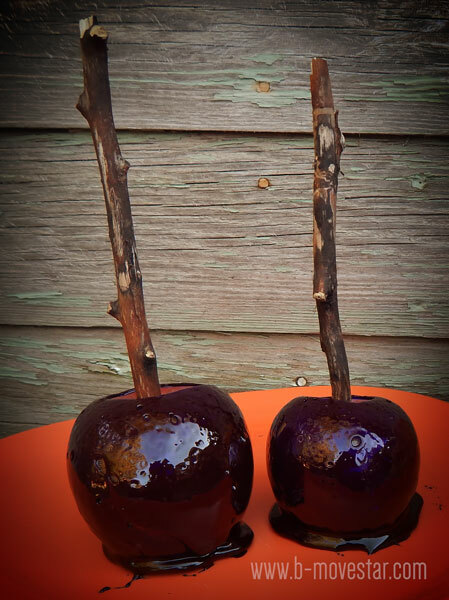 When I saw these apples, I just knew I had to try and make some. I was worried that it would be complicated and time-consuming, but it’s not! 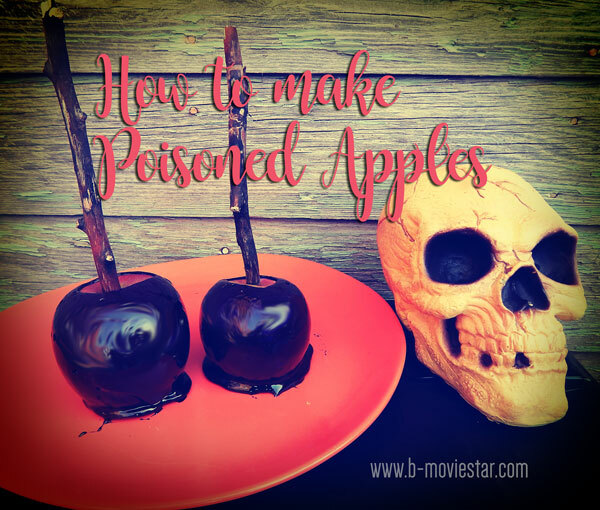 If you’ve made candied apples before, it’s just like that, only with poison . . . I mean dark food color! If you’ve never made candied apples, get ready because you’re going to be making them all the time after this! You can also add flavoring to your candy syrup – add the flavor that you like at the same time that you put all your ingredients together. 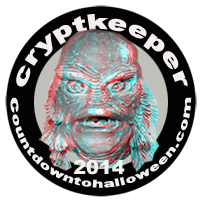 I recommend cinnamon, but you could do butterscotch, root beer, licorice, mint – hey whatever you like, you can use! 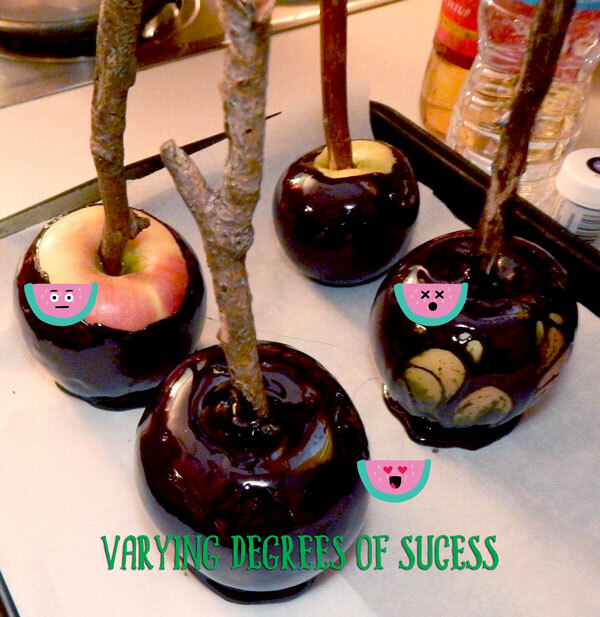 When you make your apples, you will also need to use a candy thermometer – this is important too, because, science and stuff. The first, and actually most important, thing you must do is WASH YOUR APPLES. Now, I’m not just a health freak that is telling you this to save you from the pesticide that your apples may be sprayed with (if you’ve got organic apples, all the better for you!). The reason you must wash your apples is to remove any fruit wax that the apple has been coated with so that your poisoned candy coating will stick to the apple! Fill the sink with hot water; the water will cook to lukewarm when you start washing the apples. Mix 1 tablespoon of lemon juice and 1 tablespoon of baking soda per gallon of water. Dip each apple in the water and scrub it using a vegetable brush. Rinse the apples again in warm water and dry them using paper towels. Scrub the apples again if you find any residual wax. You will also need to go outside and find several sticks to make into skewers. We tried to find some thick yet small branches – you can look at the park or other wooded areas if you have them. We just got these out of our yard. Take a sharp knife and hack off the end to a point so it looks like you’re making a bunch of little stakes to hunt vampires with. Sorry, we forgot to take a photo of that, but I’m sure you know what a vampire stake looks like. If you don’t, I’m not sure how you found this blog . . .
After you’ve removed all the wax from the apples, and skewered them with your homemade apple stakes, you’re ready to go! Prepare a sheet of waxed paper to set the dipped apples in. It’s helpful to spray this waxed paper with non-stick spray. 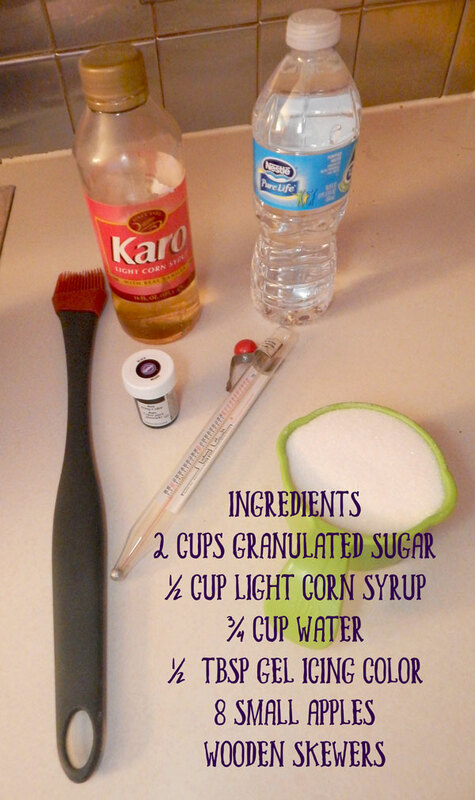 To begin, combine the sugar, corn syrup and water in a small pot, and stir this together. After you have mixed the sugars and water together, do not keep stirring, but allow the mixture to come to the temperature of 300F. (Use a candy thermometer.) Try not to go above it, because your candy will burn. 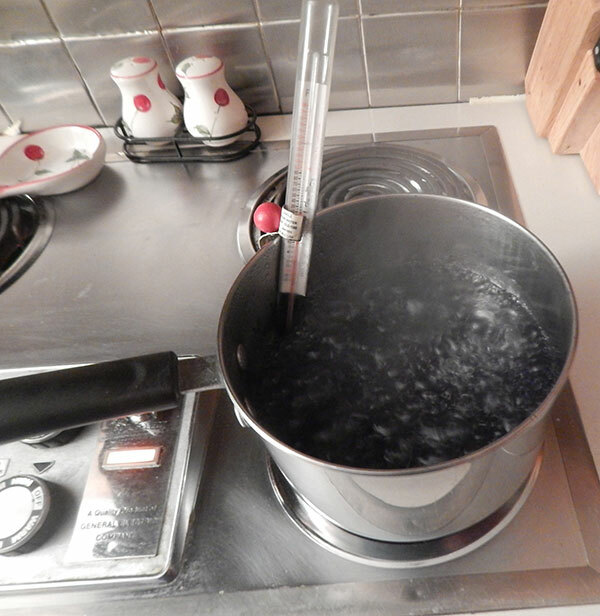 Once you reach that temperature, add a little bit of food coloring to the boiling mixture. Be very careful, it”s extremely hot, and then dip your apples. Honestly, it took some practice to get the apples to look good. The first batch, I hadn’t removed all the wax well enough and there were places that the wax didn’t adhere to. You must work quickly because it’s harder to dip the apples as the mixture cools, but if it’s boiling, sometimes the froth of the bubbles made places on the apples that weren’t smooth! It took some practice is all I’m saying! I also toyed with the idea of not dipping the apples completely to see how that would look – it was a more “natural” look, but I think I prefer the completely dipped apples. Also, the purple didn’t show up as well on the dark apples, so you might keep that in mind if you’re doing blue or purple. The ones that still had wax made an interesting “web” design that was kind of cool, but again, not exactly what I’d intended. 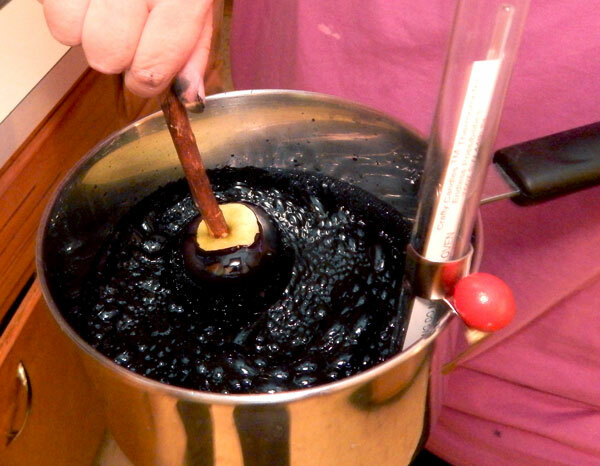 I think if I had more candy, another cool thing to try would be to dip the apples in black and then drip red candy over them. I plan to try that next year. Anyway, it was fun and really quite easy! If you’re making these, you also need to make them and eat them right away or maybe a day later. The humidity at our house made the candy get gooey after a couple of days. Your guests are going to love these and be so impressed with your horrible homemaking skills!